This article takes a look at one of the pioneering workers in the Christian Science Church, William Patrick McKenzie, his valued assistance to Mary Baker Eddy (Founder and Leader of the church), and his significant contributions toward the expansion of that religious movement in America and abroad. Wm. P. McKenzie. Longyear Museum collection. William P. McKenzie, born February 17, 1861, to William and Catherine (Shiells) McKenzie in Almonte, Ontario, Canada, was the eldest of four children, three boys and a girl.3 He was of Scottish ancestry, his father and mother being native to that country. Both his father and grandfather were Presbyterian ministers, and as the first son, and grandson, it was expected that he too would enter the ministry. 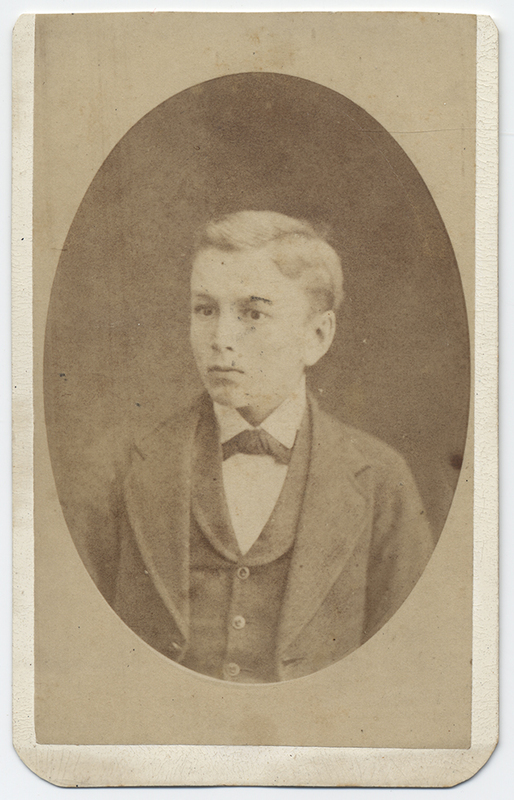 William as a boy. Longyear Museum collection. As was the customary procedure, upon completion of his studies he was interviewed by the synod, or Presbyterian examining board. He could not help but be honest, and shared with them his doubts regarding many of the church’s doctrinal points. Because of this they felt, regrettably, that they could not give him a “charge,” or church to pastor. Although relieved, he was also deeply saddened, anticipating his mother’s great disappointment at this turn of events. At this point, McKenzie decided to take a position as teacher of English literature and rhetoric at the University of Rochester in New York. Interestingly, around this time he was also approached by a small church of liberal Presbyterians in nearby Avon, New York, who shared many of his objections to the tenets of the church, and who asked him to become their pastor. Teaching at the university during the week, he took up his pastoral duties each weekend. Eventually, however, the mental conflict of unresolved issues regarding church doctrine and family expectations of his success in the traditional ministry brought him to the point of a nervous breakdown, and he entered the nearby Dansville (New York) Sanatorium. While there he experienced what was to him a revelation, an enlightened understanding of God as Love, and that this was something he could truly accept as his religion and use as a basis upon which to build. He left the sanatorium restored to health, and returned to teaching and pastoring the small church. 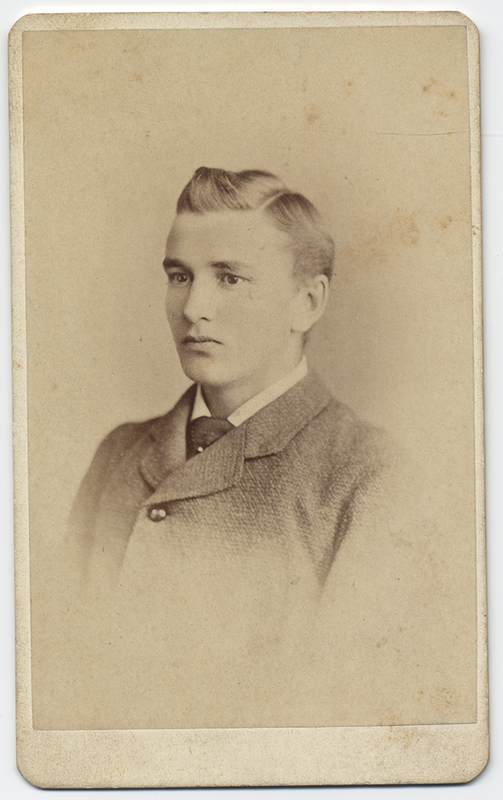 William as a young man. Longyear Museum collection. McKenzie found the answers he had been searching for, and an enlightened view of the Scriptures. Still teaching at the university and pastoring the little church, he progressed in his study of Christian Science. However, he realized that in order to make a full commitment to it he would have to sever the ties with Presbyterianism, and give up the pastorate of the small church with whom he had forged a special and unique relationship. By 1894, he was ready, and he applied for membership in The Mother Church, The First Church of Christ, Scientist, in Boston, Massachusetts. Rev. 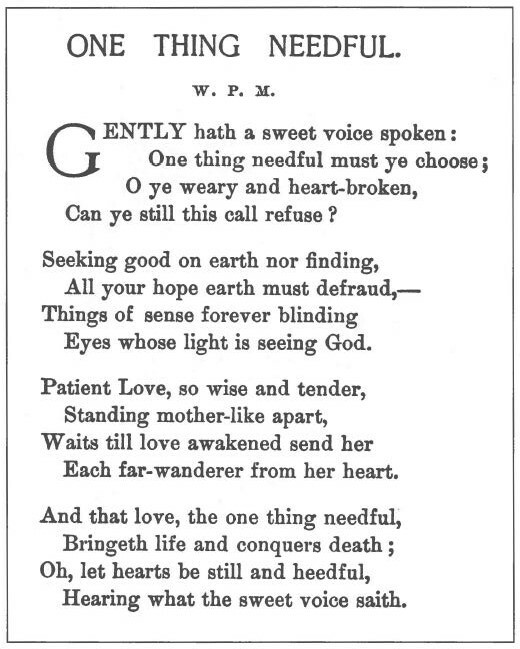 McKenzie’s poem as it appeared in The Christian Science Journal, October 1894. Sometime in 1891, after meeting William McKenzie, Daisette Stocking was asked by three members of the Christian Science church in Toronto, Canada, to go to that city and establish a second church there. This she did, serving as pastor of that church; and she and McKenzie kept up their friendship by correspondence and by his frequent trips and attendance at Sunday evening services there. Daisette Stocking as a young woman. Longyear Museum collection. 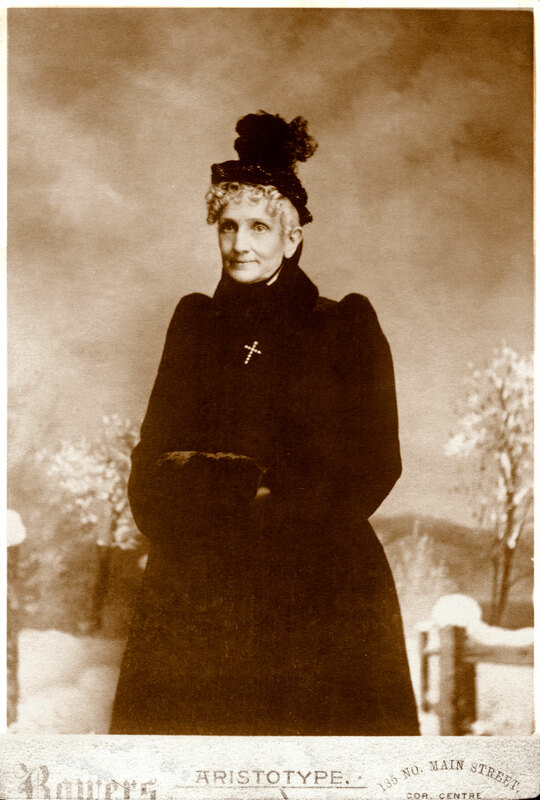 In December 1894, Mrs. Eddy took the momentous step of ordaining an “impersonal” pastor for The Mother Church (and for its branch churches in April 1895) — the Bible, and Science and Health with Key to the Scriptures.12 This change meant the election of two members by each Christian Science church to read specified passages from the dual pastor at the church services, rather than the preaching of “personal” sermons. Upon an invitation from the Toronto church where Daisette Stocking had been pastor, McKenzie accepted the call to become their First Reader, and Miss Stocking accepted as Second Reader. He gave up his university teaching position, moved to Toronto, and became a full-time practitioner of Christian Science healing, listed in The Christian Science Journal. Each lecture was to include “a true and just reply to public topics condemning Christian Science, and to bear testimony to the facts pertaining to the life of the Pastor Emeritus.”18 William P. McKenzie was well qualified for such a post with his background in theology and his training in public speaking. For some eighteen years as a Christian Science lecturer, he traveled throughout America and around the world. 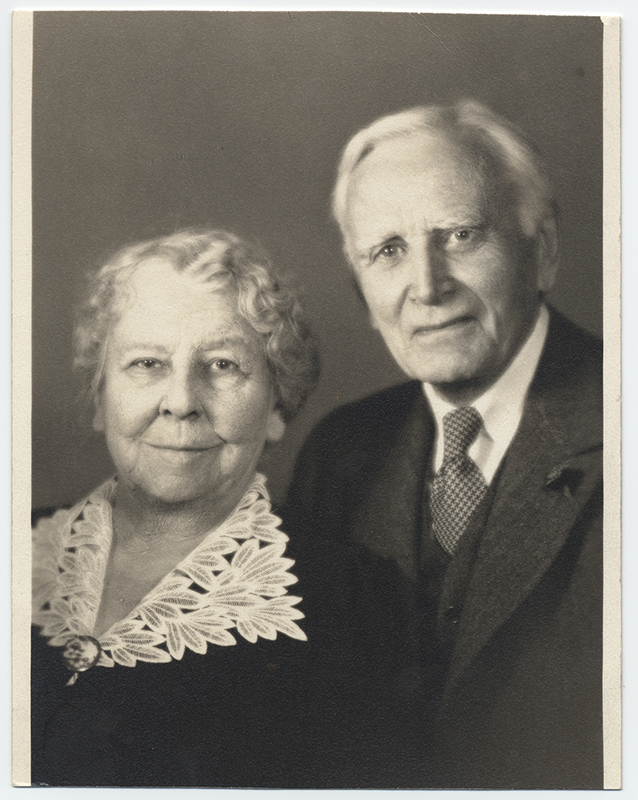 His profound knowledge of the Scriptures and religious history made him particularly and uniquely suited to finding common ground on which to explain and illustrate understandingly, to countless people of varying traditions, the Science of Christianity, its biblical basis, and the practical nature of Mrs. Eddy’s discovery. 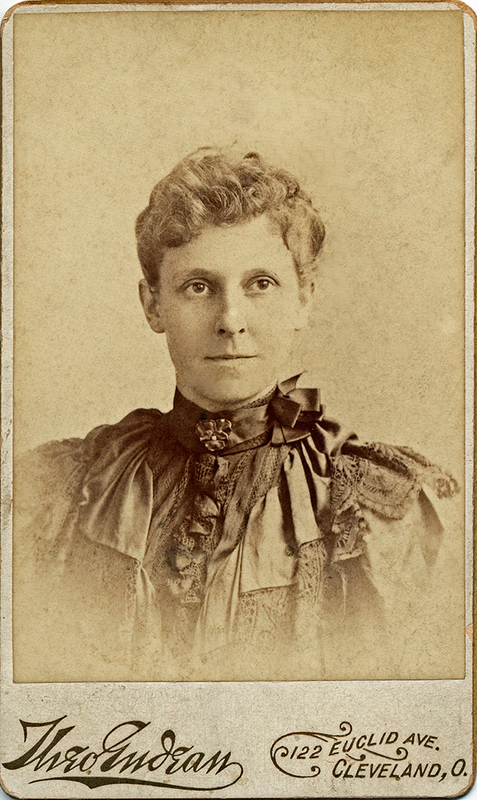 Mary Baker Eddy, photograph taken by S.S. Bowers about the time of her last class in 1898. Longyear Museum collection. Also in 1898, at the invitation of Mrs. Eddy, McKenzie attended the last class taught by her. It was held in November, in Christian Science Hall in Concord, New Hampshire. 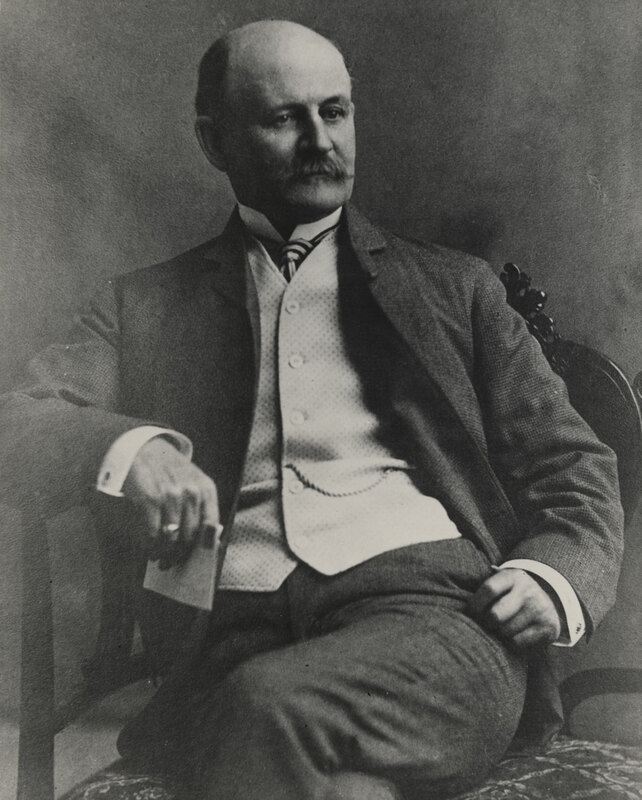 At the end of the last session he was awarded the degree of C.S.B.21 Soon thereafter, in 1899 he was appointed by The Christian Science Board of Directors to the position of President of The Mother Church.22 Besides that full one-year term, he would fill an unexpired term of four months in 1906, serve a full term again beginning in 1909, and fill another unexpired term for a little over a month in 1917. During each term of office, he presided over various church meetings, including the Annual Meeting of The Mother Church. 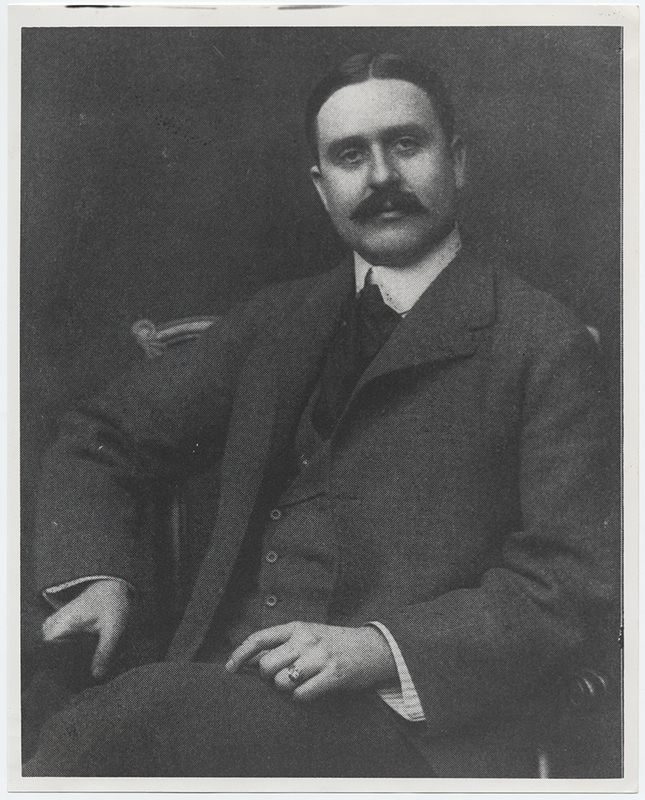 William McKenzie took up residence in Cambridge, Massachusetts, in 1899 to establish, at Mrs. Eddy’s request, a Christian Science church in that community. 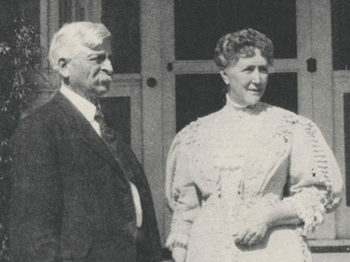 On August 1, 1901, after a friendship of many years and a long engagement, McKenzie and Daisette Stocking were married in Cleveland, Ohio.23 They made their home in Cambridge, and were the happy parents of one child, a son they named Guilford Stuart.24 Their marriage of forty-one years (ending with William’s death in 1942) was one of mutual respect, affection, and compatibility, in which they were ever supportive of each other, especially in their various activities in the Christian Science Church. Edward A. Kimball. Longyear Museum collection. 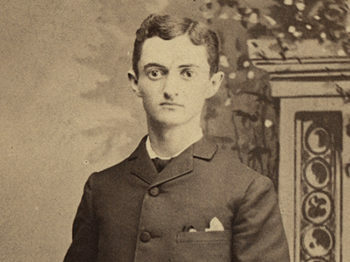 William Dana Orcutt. Longyear Museum collection. One of Mrs. Eddy’s biographers mentions that “Mrs. Eddy…frequently referred to him [McKenzie] in correspondence as her ‘John,’ the most gentle and affectionate among her male disciples.”36 He was well liked by his fellow workers, and had respect and love for the unswerving faithfulness of all those devoted to the Cause of Christian Science, and for his teacher and Leader, Mary Baker Eddy. Daisette and William McKenzie. Longyear Museum collection. Here was a man who had been present during some of the greatest triumphs and most difficult moments of the early Christian Science movement, during Mrs. Eddy’s lifetime and after. Yet he proved his constancy and faithfulness through years of healing, teaching, writing and selfless willingness to serve in offices to which he was appointed. In 1897, Independence Day was celebrated on the 5th rather than the traditional 4th because the 4th fell on a Sunday. 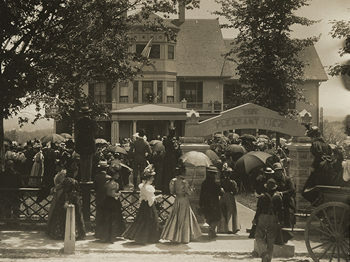 The large number of Christian Science visitors from other parts of the country at this time can be attributed to the fact that Communion Sunday at The Mother Church was a special occasion, and according to Mary Baker Eddy biographer and historian Robert Peel, in July 1897 it was “…marked by the admission of fourteen hundred new members and the normal influx of Christian Scientists from elsewhere who had come to attend the communion service in Boston.” [See: Robert Peel, Mary Baker Eddy: The Years of Authority (New York: Holt, Rinehart and Winston, 1977), pp. 108-111.] Also, in an article describing the visit to Pleasant View in The Christian Science Journal of the following month, it was written: “Before the invitation was read in church…the newspapers had gotten ‘wind’ that there was something ‘in the air,’ and enough was said to send the word over the country so that many more were there than had been contemplated….” [See: “Our Fourth of July,” Journal, Aug. 1897, Vol. 15, No.5, p. 262.] Later, in June of 1908, Mrs. Eddy wrote a new bylaw abolishing the communion season at The Mother Church. However, it was still designated to be held twice yearly in the branch Churches of Christ, Scientist. See: Mary Baker Eddy, Manual of The Mother Church, The First Church of Christ, Scientist in Boston, Massachusetts, 89th ed. (Boston: The Christian Science Publishing Society, 1908), Art. XVIll. See also: Peel, Years of Authority, pp. 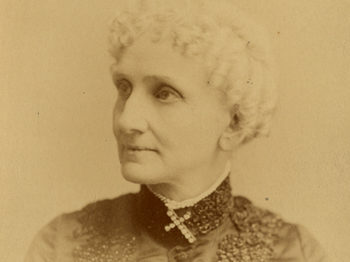 318-319, 499-500n95; and, Mary Baker Eddy, “Mrs. Eddy’s Reply,” The First Church of Christ, Scientist and Miscellany (Boston: Trustees under the Will of Mary Baker G. Eddy, 1913), p. 142. “Our Fourth of July,” Journal, Aug. 1897, Vol. 15, No.5, p. 268. 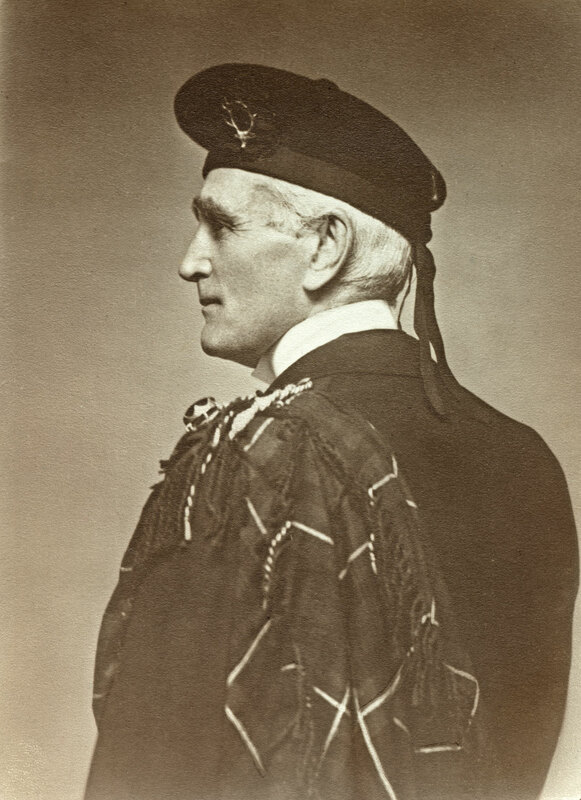 William’s brother, Robert Tait McKenzie, became distinguished in three professions — as physician, physical educator, and also as a sculptor. He produced a portrait bust and a bas-relief in bronze of William which are now part of the Longyear Museum collection, and a bronze portrait bust of Mary Baker Eddy which is now part of the Principia College historical collection. A museum dedicated to Robert’s memory is maintained in his former home, the Mill of Kintail, in Ontario, Canada. Letter, William P. McKenzie to Septimus J. Hanna, September 22, 1894. Original in Church History department, The First Church of Christ, Scientist, Boston, Massachusetts. The conflicts over religious doctrine experienced by William P. McKenzie are not unusual when taken in the context of the times. According to Edwin Scott Gaustad in his Historical Atlas of Religion in America, “In the closing years of the nineteenth century and continuing into the twentieth, the [Presbyterian] Church was beset with struggles more ideological then organizational. In the realms of theology and social action, charges of heresy, modernism, reaction, and obscurantism crackled in the electrified air.” Gaustad, Historical Atlas of Religion in America, Revised Edition (New York: Harper & Row, 1976), p. 93. A key source for information on William McKenzie is Reminiscences of Daisette Stocking McKenzie, C.S.B., and William Patrick McKenzie, C.S.B., as recorded by Daisette D.S. McKenzie, C.S.B., 1946. The original unpublished manuscript is in the Church History department, The First Church of Christ, Scientist, in Boston, Massachusetts. William P. McKenzie, Editorial, “The English Bible,” Christian Science Sentinel, July 13, 1918, Vol. 20, No. 46, p. 910. The poem referred to is “One Thing Needful,” appearing on page 297 of the Journal, Oct. 1894, Vol. 12, No. 7. See also: “They Answered the Call,” Journal, June 1989, Vol. 107, No. 6, pp. 20-21. For more information on “First Members,” see: Clifford P. Smith, Historical Sketches (Boston: The Christian Science Publishing Society, 1941), pp. 156, 171, 184-186. It is worth noting that McKenzie retained (though he used it somewhat irregularly) his earned title of Reverend after he joined the Christian Science Church. This was a customary practice with former clergymen who joined the Church during Mrs. Eddy’s lifetime. Longyear Collection. William P. McKenzie letter to Mrs. Mary Longyear, Nov. 7, 1918. Peel, Years of Authority, p. 74. McKenzie, Editorial, “Preaching the Word,” Journal, Apr. 1918, Vol. 36, No. 1, pp. 38-39. McKenzie, Editorial, “The Universal Pastorate,” Journal, Apr. 1920, Vol. 38, No. 1, p. 35. For more information on the Bible Lessons, see: “‘A PLANT OF STURDY GROWTH’: The History and Development of the Christian Science Weekly Bible Lessons,” Longyear Museum Quarterly News, Vol. 31, Nos. 2 & 3, 1994; and “Note of Interest,” Quarterly News, Vol. 31, No.4, 1994, p. 500. Mrs. Eddy’s recognition and support of Mr. McKenzie’s spiritual readiness to take on these and more duties simultaneously are hinted at in a letter she wrote him shortly after the appointment as Trustee of The Christian Science Publishing Society: “I thank [God] for giving me you and pray that you be kept unspotted from the world.” See: Peel, Years of Authority, p. 122 for excerpts of the letter; original letter in Church History department collection, The First Church of Christ, Scientist in Boston, Massachusetts. See: “Church Rule,” Journal, Feb. 1898, Vol. 15, No. 11, p. 666. Eddy, Manual, p. 93, Art. XXXI, Sect. 2. Peel, Years of Authority, p. 124. McKenzie, “God’s Lovingkindness to Man,” Journal, Feb. 1914, Vol. 31, No. 11, p. 629. For more information on the designation of C.S.B. and C.S.D., see: Christian Science Weekly, Jan. 19, 1899, Vol.1, No. 21, p. 4; Journal, Jan. 1899, Vol. 16, No. 10, p. 671; and Eddy, Miscellany, pp. 245-246. For information regarding this Church office, see: Eddy, Manual, p. 25, Art. I, Sect. 2. Soon after William and Daisette were married Mrs. Eddy wrote to Mrs. McKenzie, “I am glad that you are married to him you love.” See: Peel, Years of Authority, p. 439. After the birth of their son, Mrs. Eddy would often end her business letters to Mr. McKenzie with a remark of affection and love for both Mrs. McKenzie and their son. See: Ibid., pp. 439-440n30. Smith, Historical Sketches, p. 108. McKenzie and Kimball provided valuable assistance to Mrs. Eddy in regard to this legal action against her by former student Josephine C. Woodbury. 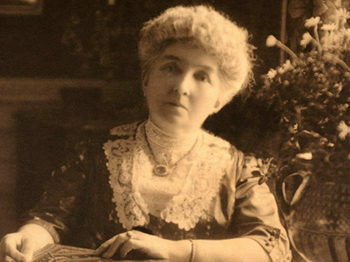 Although the suit eventually failed, there was tremendous challenge to Mrs. Eddy and her associates during a period of about two years, May 1899-June 1901. See references to Josephine C. Woodbury in Peel, Years of Authority. Peel, Years of Authority, p. 467n124. William Dana Orcutt, Mary Baker Eddy and Her Books (Boston: The Christian Science Publishing Society, 1950), pp. 97, 100. Collections of verse by William P. McKenzie published in book form: A Song of Trust, Voices and Undertones, Songs of the Human, Heartsease Hymns, The Sower and Other Poems, Fields of Bloom, Prelude Poems for the New Day. He also wrote three volumes of poems in the Scots dialect: Bits o’ Verse in Scots, Fowls o’ the Air, and The Auld Fowk. Poems of William P. McKenzie included in the 1932 edition of the Christian Science Hymnal (Boston: The Christian Science Publishing Society): “Happy the man whose heart can rest” (#93); “In mercy, in goodness, how great is our King” (#150); “O Love divine, that dwells serene” (#228); “Praise now creative Mind” (#275); “There are none friendless, none afraid” (#339); “Trust the Eternal when the shadows gather” (#359); “What brightness dawned in resurrection” (#381). See also references to William P. McKenzie in Christian Science Hymnal Concordance and Hymnal Notes For Use With The Christian Science Hymnal (Boston: The Christian Science Publishing Society, 1975). Concordance and Hymnal Notes, p. 310. McKenzie, Editorial, “Camp Welfare Work,” Sentinel, May 4, 1918, Vol. 20, No. 36, pp. 710-711. McKenzie, “Our Periodicals,” Sentinel, Sept. 26,1908, Vol. 11, No.4, p. 63. Eddy, “Something in a Name,” Miscellany, p. 353. McKenzie, “Newspaper Possibilities,” Sentinel, Oct. 24, 1908, Vol. 11, No.8, p. 143. Smith, Historical Sketches, p. 101. McKenzie, “A Leader by Example,” Journal, Feb. 1920, Vol. 37, No. 11, pp. 580-581. See: Peel, Years of Authority, pp. 168-169 and 433-434n98. See: biographical sketch in List of Articles, Poems, and Addresses by William P. McKenzie in The Christian Science Periodicals including The Christian Science Monitor, compiled by J. M. Eaton (Cambridge, MA: Powell Printing Co., 1944), p. 15. The Christian Science Board of Directors, “William P. McKenzie, C.S.B.,” Sentinel, October 10, 1942, Vol. 44, No. 41, p. 1784-1785. McKenzie, “Are We Sure That Good Is Going To Triumph?” Journal, May 1942, Vol. 60, No.2, p. 63. This article was originally published in the 1995 spring Quarterly News.